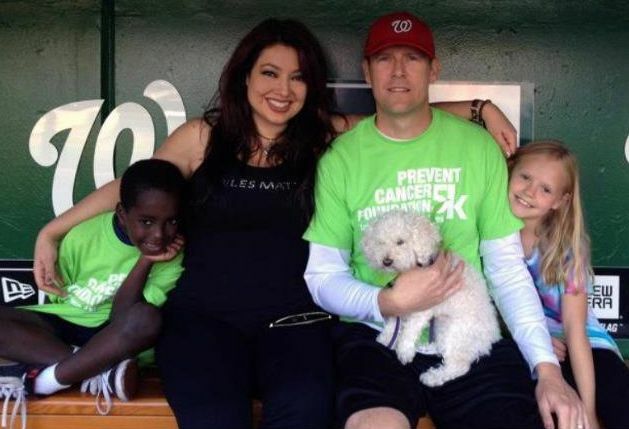 Dr. Alex Naini with her husband, children and wonder dog Kingston. Dr. Naini is a former writer for Verywell Health covering dental health. She appears regularly as the resident dental expert on the CBS affiliate WUSA Channel 9 in Washington, DC, and has been featured in/on USA Today, NBC4, 106.7 The Fan, Washington Life, DC Magazine, New Beauty, and the Journal of Cosmetic Dentistry. Her clientele includes local and national political figures, NFL players, professional baseball players, Miss America and Miss USA pageant winners, professional models, prominent business leaders, and local and national news personalities. Dr. Naini’s professional affiliations include the American Academy of Cosmetic Dentistry, Academy of General Dentistry, International Association of Comprehensive Aesthetics, American Dental Association, Academy for Sports Dentistry, and the Dental Organization for Conscious Sedation. Dr. Naini practices cosmetic dentistry with special interest in neuromuscular and sports dentistry. She is considered a national expert on the use of neuromuscular mouthguards in sports. Named one of “America’s Top Dentists” by the Consumers’ Research Council of America, she is one of only a select number of dentists nationwide that perform full-mouth rehabilitation. Dr. Alex Naini received her undergraduate degree from the University of Maryland, College Park and her DDS degree from the University of Maryland Dental School. She completed her general practice residency at New York Medical College/Metropolitan Hospital in Manhattan and her post-doctoral training at the prestigious Las Vegas Institute of Advanced Dental Studies. She is a Fellow with the Academy of General Dentistry and the Las Vegas Institute, an honor held by less than one percent of practicing dentists. Having a great smile is a blessing. Whether natural, slightly enhanced or created by an experienced cosmetic dentist, it makes a difference in our day to day lives. My goal is to help you achieve the best smile you can have by answering questions and keeping you informed of the latest procedures and advances in cosmetic dentistry.